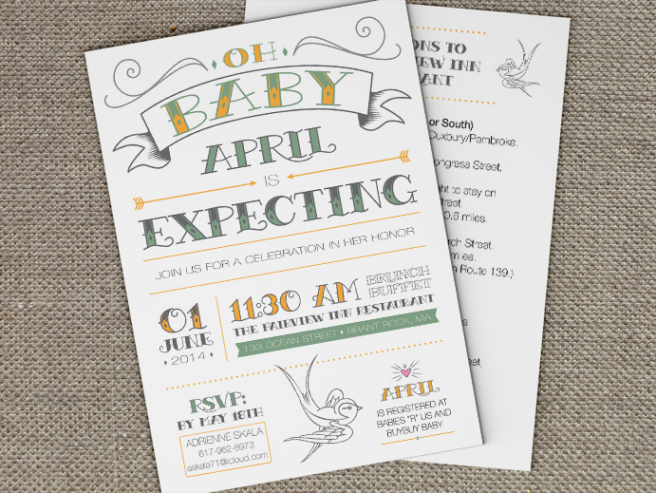 Working with the expecting mother's sister, and the baby shower planning committee, we envisioned a classic, but fun baby shower invitation design. 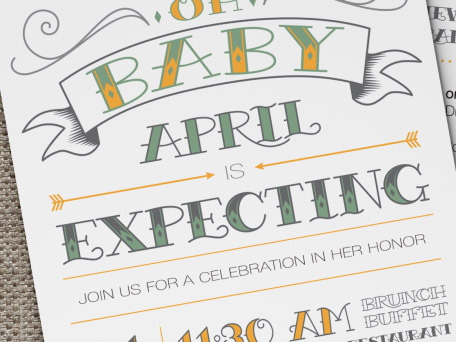 I drew inspiration for this invitation from the mom-to-be and her upbeat, cool personality. Since the gender of the baby was kept as a surprise, the color pallet and themes were kept neutral for either a boy or a girl. The final design elements served as inspiration for the main event decor. P.S. It was a boy!